Environment Engineering is one of the most important and growing engineering fields today. The growth of this industry has brought us many new products and new developments. It presents unique and futuristic projects for all engineers. Some of the renewable technologies that we are working with include solar, wind, electric vehicles, fuel cells, lithium and much more. Our team has extensive knowledge in environmental sciences and we can help new companies achieve their green goals. As most major car manufactures introduce new EVs in late 2010 and early 2011, the questions are battery charging, energy storage, communications and automated controls for these vehicles. Dexa Resources provides charging and smart monitoring by solar energy at charging stations located at home, at your work, or in public places. When charging time is important we can supply fast chargers. Who knows, maybe even charge it in the parking lot from a solar roadway panel. Do you have a fossil fuel engine in your car? Keep the car and replace the engine with a high performance electric drive train otherwise known as a conversion – a truly green solution. Dexa Resources integrates renewable energy technology to solve application problems, improve performance, and to make it fit your life style. Our challenge is to put together the latest technology, automated controls and experience into a final solution. 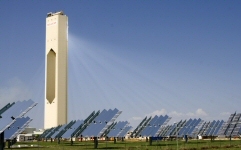 Customers are expanding their renewable energy usages. It is critical to design so that new integration is added by modules such as a remote capabilities, grid interface capabilities, power management and energy storage options. We have integrated solar arrays into custom mounting, adjustable racks, awnings, and even BIPV. Building Integrated Photovoltaics (BIPV) is the marriage of three industries: architectural design, renewable energy, and building products. PV elements actually become part of the building, often serving as the exterior weather skin, such as the roof or the facade. When working with the design for a new structure such as a building or a home, we are able to design for the local climate and environment. Environmental design can lead to options such as wind, thermal systems or a combination of solutions to make a structure a net zero energy building. A net zero energy building, (ZEB) is zero net energy consumption and zero carbon emissions annually. A net zero building is one where there is a team working on the integration of the renewable energy products who focus on LEED certification of buildings. We educate and teach energy independence coupled with emergency response we are a proud supporter of ARRL. ARRL is the National Association for Amateur Radio. This is a non-profit organization which participants, called “hams,” use various types of radio communications equipment to communicate with other radio amateurs for public service, recreation and self-training. The future is beginning to present the need for solar, wind and other energy systems to provide us with reliable sources of energy and communication during disasters and power failures. Licensed radio operators have been installing solar and wind power for decades at repeater sites to provide communication during power outages. Some of our staff are licensed radio operators and we hope that more people continue to take an interest in amateur radio communication. 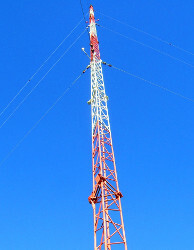 With the introduction of Internet Radio Linking (IRP), communicating around the world and in remote villages in other countries is sparking younger interest.